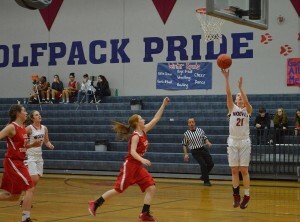 A lot was asked out of Lindsey Nurmi last season for the Black Hills High School girls basketball team. The roster for the Wolves was top-heavy with posts and forwards in 2015 and light on guards, especially those who were apt at handling the ball. So, despite her freshman status, Nurmi was charged with being the team’s primary point guard almost by default. It’s a high-pressure situation for any upperclassmen, much less for someone a mere six months removed from middle school. 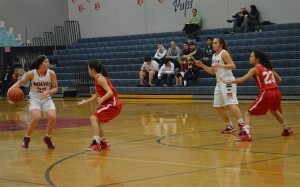 Sophomore point guard Lindsey Nurmi (#30) has been one of the main reasons the Wolves are eyeing a 2A Evergreen Conference championship. 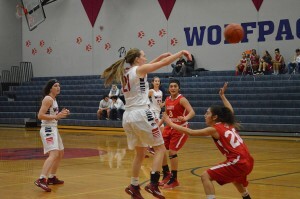 Nurmi’s stellar sophomore campaign is just one highlight in a season loaded with accomplishments for the surging Wolves. Paced by the lethal combo of Nurmi and jack-of-all trade junior wing Emma Duff and the senior leadership of Bailey Rollman and Sammi Payne, Black Hills has far exceeded expectations already and has catapulted itself into the conversation of potential Class 2A state championship contenders. 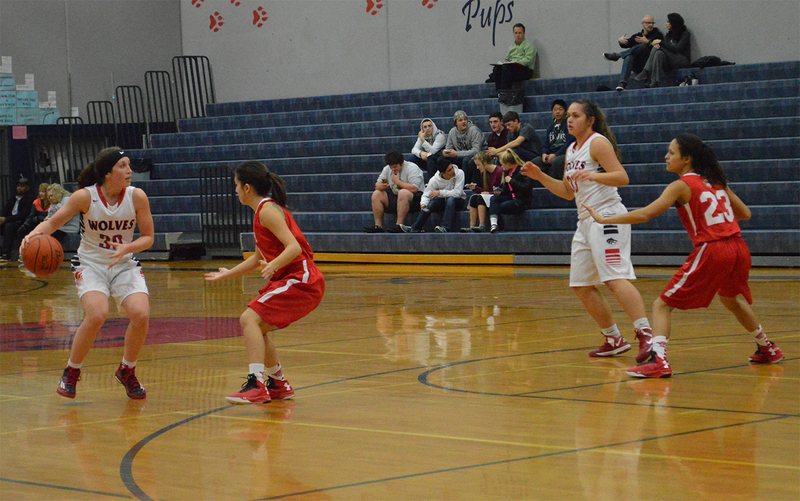 And it has as the Wolves opened the year by winning 10 of their first 11 games with their only setback coming in a 58-51 non-league loss during the second game to 4A Puyallup. It’s been pretty much all wins after that. 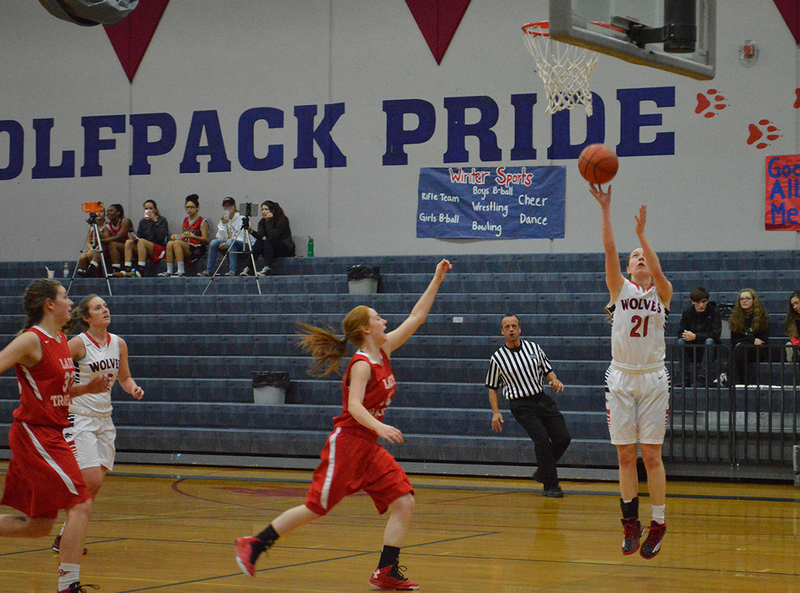 Senior Sammi Payne (#21) goes in for a lay-up during the Wolves non-conference win over Fort Vancouver. Sporting a 15-3 record, including an unblemished mark in 2A Evergreen Conference play, Black Hills has embraced their new found commitment to defense. The team has held 14 opponents to under 50 points this season with 10 of those teams failing to hit the 40-point mark. In each of the last two seasons, the Wolves advanced to the regional round of the state tournament only to see their season end both times a win shy of moving on to the Yakima SunDome as one of the state’s final eight remaining teams. Black Hills opened the season by winning 10 of its first 11 games and haven’t slowed down since. Black Hills has already overcome one longstanding obstacle by defeating W.F. West, a program that has had three consecutive appearances in the state championship game, for the first time in Greenfield’s seven seasons. The Wolves’ 63-61 win on January 19 marked the first EvCo loss for the Bearcats in more than four years and provided Black Hills with plenty of confidence. Nurmi and Duff were especially spectacular in that game, both scoring 20 points, while Nurmi went 9-for-9 at the free throw line, with six from the charity stripe coming in the game’s final 3 minutes.